Gamma Digital Ltd. is a 100% Hungarian owned company, employing about 130 people, wih its headquarters in Budapest and 4 other sites in the country. Our company deals with the highest level of industrial automation and system integration. We have taken part in planning, installing and modernizing dozens of automated warehouse and logistics systems both in Hungary and in Europe. Our development engineers, project managers, software developers and electrical engineers have proven their aptitude, efficiency and problem-solving skills in Hungary and in many parts of the world. As a leading telecommunications services provider in the world, Vodafone Group is offering a wide range of solutions for voice, message, data and fixed line communication solutions. Vodafone Group is present in 25 countries with mobile services and has partner networks in 44 other countries, and offers fixed line services in 19 markets. As of December 31, 2018, Vodafone Group has 700 million mobile and 21 million fixed broadband customers, including India and all customers of Vodafone’s joint ventures and affiliates. Vodafone Hungary LTD. started its operations in Hungary on 30 November 1999. 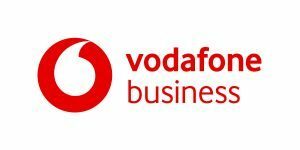 Vodafone Hungary is an integrated technology provider whose portfolio includes mobile communications, mobile internet and broadband data services for both individual and corporate users. 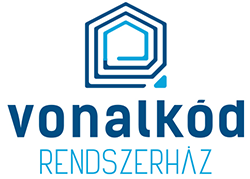 Vonalkód Rendszerház LTD. has over 25 years history in the Hungarian automatic identification market, and can be considered one of the oldest and most respected companies of this sector. The company’s main activity is primarily related to automatic identification solutions, including logistic process optimization, production follow-up, tangible assets and material inventory, individual systems development, accessory sales, printing, service activities or various sales technology solutions. We have special trade relations with a number of well-known and respected manufacturers (Honeywell, Datalogic, Microscan, Datamax, CipherLab, Axiohm, Godex, SOTI ). We continuously broaden our partnerships in order to provide affordable and reliable offers for a variety of devices needs and warranty services. 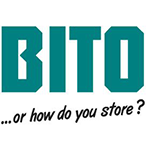 BITO-Lagertechnik Bittmann GmbH – its name stands for innovative warehouse technology and it is one of the few companies which provide a complete range of products – develops and produces shelving, storage bins, order picking and distribution systems for every sector. We are an international industrial company with more than 70000 customers and we are one of the market leaders in Europe. We have been providing effective and reliable language trainings for our partners for over 25 years. Our aim, through language instruction tailored specifically to your needs, is to help your company with its business communication needs. Our one-to-one and small group courses range from general language instruction to business language trainings and specialised courses. Ghibli Kft. 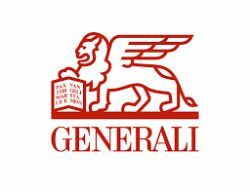 was established in 1996 as an Italian-Hungarian joint-venture. Today they are a 100% Hungarian company and the majority of their turnover derives, and has from the outset been deriving, from transportation to and from Italy. As a part of our comprehensive logistics activity, we offer warehouse services, in the framework of which we have been operating a public customs warehouse since 1998 and a VAT warehouse since May 2004. Covering the entire country, our domestic transportation activities include the dispatching of goods consignments. In early 2009 our company moved to a new warehouse and office complex. These facilities are perfectly suited to meet 21st century needs thus enabling us to meet the logistics assignments of our customers even more efficiently and professionally. 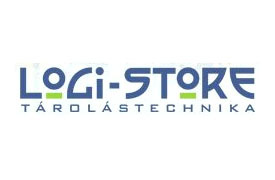 Logi-Store Ltd. was introduced to the Hungarian market as a logistic services provider in 2000. Our aim was to provide an all-in-one storage technology solution to the logistics and warehousing professionals: we carry out every element of the process from on-site surveys through logistics planning to the handover of ready-to-use systems, taking full responsibility. We are happy to introduce you our Logi-Store solutions. The 100% Hungarian owned company was founded in 2005 and our 2016 revenue was 1.3 billion HUF. The product of iData Ltd. is the iTrack GPS tracking system, which has been used in 28000 vehicles of over 2600 companies. Continuous and stable growth is due to the customer centred premium quality product development, and to the work of the qualified engineer and developer team, which is the source of iData’s 12 years of success. The company is respected by a growing number of satisfied customers and has received a number of prestigious domestic and international awards in the past years. In just a few years, Trans.eu has caught up with leading European companies in the field of IT services in the haulage sector. Trans.eu System is a platform that connects freight forwarders with carriers and manufacturing companies. Innovative solutions enable you to quickly handle orders and access to trusted business partners. Vanessia Ltd. has a high level of expertise and extensive professional experience. Our team currently consists of 30 full-time and 8 external, well-prepared fund tender consultants and project managers. All of our staff have a higher education degree. Most of our specialists are economists, but we also employ engineers, lawyers, rural development, tourism and state administration specialists in our team, so we have all the competences we need to complete successful fund tender documents. Our management and owners work with many years of experience and dedication and lead our consulting firm in three cities in the country: Budapest, Pécs and Debrecen. Our highly qualified and expert staff are working day by day to provide our customers with the highest level of financial and fund tender application solutions to contribute to our partners’ success. Like so many success stories, it all started with a need not being fulfilled by any solution at that time. In April 1997, freight forwarder Jens Thiermann was searching for a pan-European procurement platform for transport jobs. But what he could find did not meet his expectations. So he made a decision: I will do it myself! The result was the TimoCom Soft- und Hardware GmbH. After work and at weekends, he began developing his own freight and vehicle exchange. 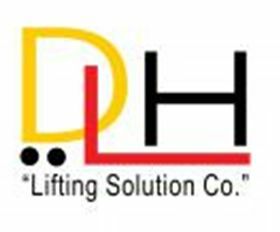 The exclusive printing solutions partner of our conference. The logistics profession is continuously facing new challenges resulting from global economic change. Due to the automated flow of materials and the global exchange of goods, EPAL pallets also have to meet ever higher requirements, which entails stricter quality control. EPAL worldwide guarantees the highest quality of EPAL pallets. EPAL (European Pallet Association) was established in 1991 in order to guarantee quality assurance and control standards of EURO pallets throughout Europe in cooperation with the European Railways. 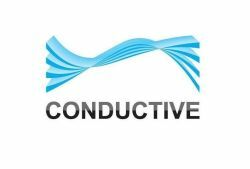 Our company, Conductive Ltd., has 15 years experience in packaging design and vacuum forming. During this time we have become one of Hungary’s most important logistic solution provider companies. Due to our innovative approach, we offer unique and cost-effective solutions to many industries and businesses.